Welcome to the future site of www.teenagetrust.com. This is a website that will be created with the teenagetrust.com domain for the purpose of helping to build trust and ‘flow’ for young people. The purpose is to empower, grow and inspire hope in teenagers, by building internal and external trust, to understand ‘flow’ and provide the tools so that teenagers feel more in control of their future. By understanding the importance of healthy relationships and trust, aware of the important influence of our emotions, thoughts and attitude. A program to build self-esteem so that teenagers have a greater trust in who they are, greater trust in adults and their future. Skills to build relationships and inner trust. Using online technology and graphical models, explain the interplay of thoughts, emotions and self esteem, a program to provide the skills & tools to empower youth. 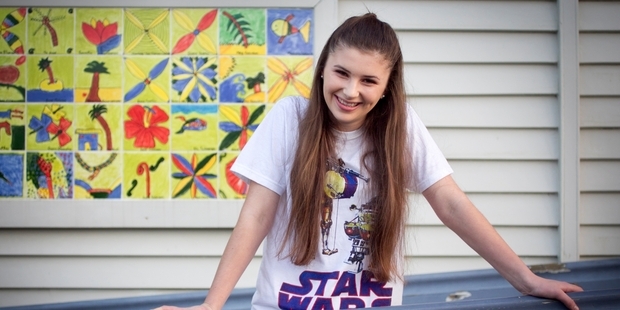 The following is an inspirational article in the NZ herald about anti-bullying for teenages. Hence it is included on this page as a reminder of the great things that are occurring in the area of teenage trust. An inspirational young New Zealander, 17 year old internet sensation Jamie Curry, has teamed up with a charismatic Kiwi known many of us know as The Mad Butcher have created two anti-bullying campaigns aimed at teens. Curry, who has more than eight million followers on her Facebook page Jamie’s World, has teamed with Netsafe and Google NZ for an initiative called Web Rangers, while Sir Peter Leitch, who founded The Mad Butcher company, is funding the $100,000 #BeefWithBullies drive. Both campaigns invite New Zealand teenagers to create anti-bullying videos, but Web Rangers will solely address cyber bullying. Click here to read the full NZ Herald article.